Scratch Resistant Coating can be applied to your lenses in order to resist scratches. It’s very effective for lenses in prescription eyeglasses and particularly in children’s glasses. The anti-scratch coating is applied by dipping the lens into a silicone-based solvent. As it cures, there is no tinting or coloring left behind to damage the optics of the lenses. Although the coating is not 100% scratch proof, it does help to prevent minor scratches that can damage the surface of the lens. Invisible to the naked eye, our UV (ultra-violet) coating provides superior protection for the eyes. Overexposure to UV light may cause cataracts, retinal damage, and many other eye problems. 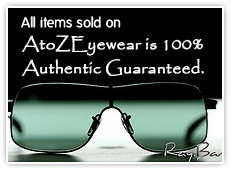 The UV treatment can be applied to all eyeglass lenses and does not change the appearance of the lens. Anti-reflective coatings help reduce reflection on the surface of the lenses. It also improves the efficiency of the glasses since less light is lost. The biggest benefit is the eradication of the reflection itself – making the eyes of the wearer more visible. The coating is also the best solution for computer usage and night driving. It increases light transmission through the lenses, it provides the wearer with the clearest vision possible. Tinting is applied to both sides of the lens for the look of sunglasses without the polarization effect. It can only be applied to basic lenses with an index of 1.50. Available colors are gray and brown, but we can also customize it to a different color as well. Tinted lenses should be used in conjunction with an ultraviolet protective coating. Anti-radiation lens coating has metallic compounds coating that can be resistant to radiation on both sides. The coating is a layer for 100% protecting the lens from the electromagnetic waves. The other nine layers including non-reflected multi-coating, hard coating and waterproof coating etc. can help preventing the static electricity and be waterproof and antifouling at the same time. This type of lens can remain clean for a long time and are not easy to get dirty. The anti-radiation lenses act as an extra layer, which prevents any harm that electromagnetic waves from TV, computer screens, etc. can do to the eyes.